Jacobsen launched the all-new Jacobsen Truckster XD heavy-duty utility vehicle at the Golf Industries Show in San Antonio, Texas late last month. 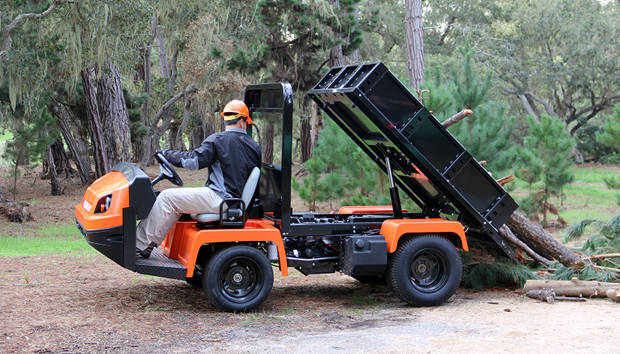 Serving as a replacement for the venerable Cushman Turf-Truckster – the turf industry’s original heavy-duty utility vehicle – the all-new Jacobsen Truckster XD sets a new standard for capacity, power, strength and comfort. The new Truckster XD boasts a massive, class-leading 1,610 Kg standard payload capacity, supported by the toughest bed in the industry, with steel up to 75% thicker than comparable boxes and 20% more volume. Two class-leading power units are available: the diesel version, more commonly used throughout Europe, with 24.8 hp and 71.5 nm of torque and the petrol model, which is used predominantly in the Americas and Asia-Pacific, providing 32.5 hp and 70 nm of torque. The new Truckster XD was built to handle the daily rigours on the golf course, therefore the Jacobsen engineers have put a priority on comfort, giving the operator area 25% more room than the competition. “When we started this project, the first thing we did was ask hundreds of superintendents, greenkeepers and sports turf managers what they wanted from a heavy-duty utility vehicle,” said Richard Comely, Director of Global Product Management at Ransomes Jacobsen. “The feedback was unanimous: they told us they wanted a truck with more capacity, power and comfort. Nothing on the market was able to fulfill their needs properly. Based on the extensive field testing and feedback we’ve received over the past year, we’ve delivered exactly what turf professionals asked for. Following the official launch at the Golf Industry Show, the first units will be available in the UK and Europe in the second half of 2015. A full range of accessories and attachments will also be available with kits enabling the retrofitting of existing and competitor equipment. Watch a video about the development of the Jacobsen Truckster XD.